I want to give you personally, and in the name of all uruguayans a warm welcome to our country. It’s a great honour for us to receive your visit. In Uruguay we continue working to provide better services every day to our visits, being now more than 2 million every year. Examples of that are our new International Airport in Montevideo and our new Passenger Pluvial Station in Colonia. This year we are waiting for even more tourists than before, confirming our country as an attractive, safe and quality-worth destination. All our territory offers many instances to live unforgettable experiences, those ones that only happen on holidays, those ones that leave a life-enduring mark to travelers, just because of the landscapes, the cultural inheritance showed in Colonia Del Sacramento, or for experiences living with the residents, their traditions or life conditions. The coasts of our rivers or the ocean line, that identifies us in the region, give excepcional opportunities for the practice of water sports or for the joy of senses, in a silent charming beach, in cities with plenty of activity as Punta del Este, or in rural areas where the contact with surrounding nature is absolutely intimate. Healthy and reparing activities for the whole family can be enjoyed in the spring waters facilities, on their comfortable accomodation available. 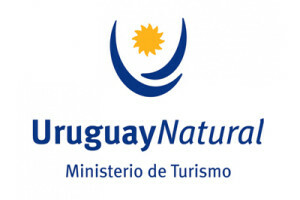 We receive continous recognition from international organisations, locating our country in the highest standards for its life conditions and environment protection, being an example of that the high-value ecosistem of the “Quebrada de los Cuervos“, our first “protected landscape”. You will be able to enjoy a great variety of food offers, which conjugates flavours from different origins in harmony with strong local components related to our “gauchos“, like in the traditional “asado” (traditional roasted meat) in the company of a fine local red or white wine from selected grape harvests. Beneath the most notorious cultural experiences, for musical and historical reasons, you can find Tango (UNESCO-declared Humanity Immaterial Cultural Heritage) and Candombe -world-unique expression- and the uruguayan carnival. In the sports area you could enjoy various options, for practice or watching, like footbal, rugby, golf, fishing and sport hunting. I wish you take with you your best memories and reasons to come back. Dr. Héctor Lescano, Secretary of Tourism.